ARRA News Service: So Apparently Darwin Was Wrong. Really, Really Wrong. So Apparently Darwin Was Wrong. Really, Really Wrong. 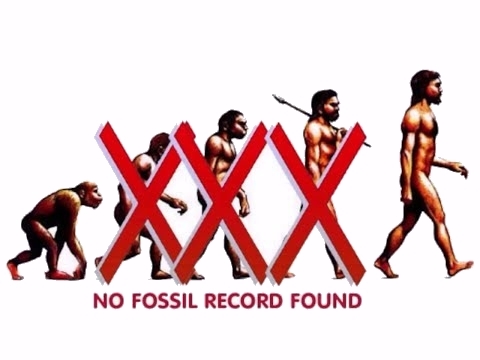 by Peter Heck: The dissenters from Darwin were right all along. But don’t expect his fans to admit it, even as their ship is submerged. For decades an increasing number of highly-educated scientists have been mounting challenges to the now embarrassing Darwinian assumptions at the heart of modern biological understanding. In essence, these scientists see modern biology as ship whose entire hull is the Darwinian ideology – and it is springing leaks so large, so rapidly, that the time for trying to credibly plug them all has come and gone. It’s time to abandon ship. "This conclusion is very surprising," says Thaler, "and I fought against it as hard as I could. "That’s an interesting statement from Thaler. Why would he fight so hard against it? Two reasons: 1. He knows how much modern biology relies on the Darwinian assumptions accepted and promoted now for a century and a half. 2. He knows what this study does to those assumptions. One of the reasons scientists have continued pushing the age of the earth, and the age of our universe back further and further is because they recognize a desperate need for massive amounts of time to sustain their faith in all life evolving from a singular ancient ancestor. The branches of Darwin’s tree of life need inordinate amounts of time to slowly develop, or the whole thing falls apart. When Darwinian scientists are asked today, “Why don’t we see one kind of animal turning into another now?” the standard response is, “It is happening, but it happens so slowly you can’t see it.” Time. You have to have time for this Darwinian model to work. What Thaler fought against was evidence that there was one thing that natural history does not give us for the development of species: time. If 90% of creatures all originated at roughly the same moment in history, there simply isn’t time for amphibians to slowly become reptiles, then birds, and then mammals. And notice the evidence demonstrates that these animals are coming into existence at the same time as man. None of this remotely fits the Darwinian model. Meaning, the assumptions upon which all of modern biology have been constructed are faulty. Down goes Darwin. To be clear, none of this proves that the Bible is correct in its account of the origin of life. But Biblical scholars have long suggested that rather than what Darwin promoted – a tree of life with all branches coming from the same common ancestor – archaeology and the fossil record bear witness to an orchard of life. Amphibians, reptiles, mammals, fish, bacteria, and birds did not all come from the same single organism. They arrived on the planet separate and distinct, and then have all evolved within their various kinds. That explanation fits far better with the fossil record, as even Darwin himself acknowledged. In the Origin of Species, Darwin noted that the lack of transitional fossils (that is, the half-reptile, half-bird) was catastrophic to his theory. But he explained it away by saying we just weren’t good at digging through rocks yet to find them all. Well, we’re really good at digging in rocks now, and we still haven’t found them. We find distinct creatures, separated into their kinds, fully-formed in the fossil record. That evidence is indicative of an orchard of life with separate organism trees, not a singular tree of life. Now we can add to that a massive DNA study indicating that those creatures were all here at roughly the same time. Again, that demands an orchard explanation, not a singular tree that saw creatures slowly evolve from one another. The dissenters from Darwin have had it right all along. But don’t expect his fan club to admit it, even as their ship is breaking apart beneath them. Peter Heck writes for The Resurgent. Tags: Peter Heck, the Resurgent, So Apparently, Darwin Was Wrong, evo;ution, missing evidence To share or post to your site, click on "Post Link". Please mention / link to the ARRA News Service and "Like" Facebook Page - Thanks!